The good: Multiple studies prove Tonalin’s conjugated linoleic acid causes fat burn without stimulant effects. The bad: Tonalin lacks other thermogenic compounds such as green tea, which might be beneficial. The bottom line: If you’re looking for an aggressive diet pill with fast results, Tonalin might disappoint you. However, it offers weight loss without the annoying side effects of more aggressive stimulant-type diet pills. Price: $10.19 for 60 softgels with 1000 mg.
Tonalin CLA is manufactured by Natrol. It is a brand of conjugated linoleic acid (CLA). CLA (conjugated linoleic acid) is derived from safflower oil. Human studies have shown that CLA may play a role in reducing body fat and increasing muscle retention. During the past 25 years there have been more than 600 studies of CLA with good results. There is enough proof to endorse their contention that CLA decreases body fat and retains lean muscle.This is essential when dropping your caloric intake to achieve a balanced diet. A study on “Conjugated Linoleic Acid Reduces Body Fat in Healthy Exercising Humans” found out that there was a reduction in the body fat from 21.3% to 17.0% with a few pounds decrease in body weight. The reason for reduced weight loss when compared to more than 20% decrease in BFP is due to increase in lean muscle. Also, a study in the International Journal of Obesity concluded that “CLA supplementation for 4 weeks in obese men with the metabolic syndrome may decrease abdominal fat, without concomitant effects on overall obesity or other cardiovascular risk factors.” However, it was also stated that more trials with lengthier periods would be advantageous. Tonalin is a CLA or conjugated linoleic acid. It is a naturally occurring fatty acid that is present in the likes of meat, eggs, cheese, milk, etc. Tonalin is not a stimulant. Tonalin (CLA) contains the uptake of dietary fat by your body’s fat cells. It does not contain Yeast, Wheat, Corn, Milk, Egg, Soy, Glutens, Artificial Colors or Flavors, Added Sugar, Starch or Preservatives. Considering the Tonalin dosage, 1g of Tonalin seems to be on the higher side which is good and a plus point for the Natrol’s Tonalin CLA. Tonalin CLA is available at the cost of $10.19 for 60 softgels with 1000 mg. The recommended dosage is 1 softgel with each meal. Though this is not that expensive, it does not have nothing special to proffer. The relatively high dose of Tonalin used in the pill is good and should be retained but adding ingredients that help burn fat will be more beneficial and effective for weight loss. Natrol is insistent in the quantity of Tonalin to be blended in Tonalin CLA. However, including some thermogenic compounds such as green tea, caffeine, or synephrine in their weight loss pill would make it more effective and result oriented. 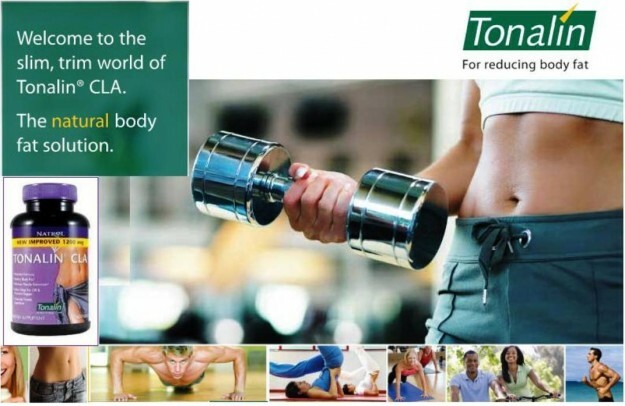 If you seek to achieve weight loss without any stimulants, Tonalin CLA could give you results. However, if you want a more aggressive product, you should go in for other alternatives with a more comprehensive formula.